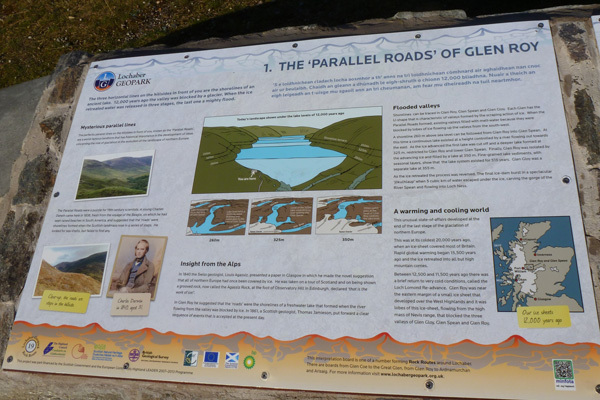 These two boards are sited in a small car park to provide a good overview of the Parallel Roads in Glen Roy, a world famous geological feature. 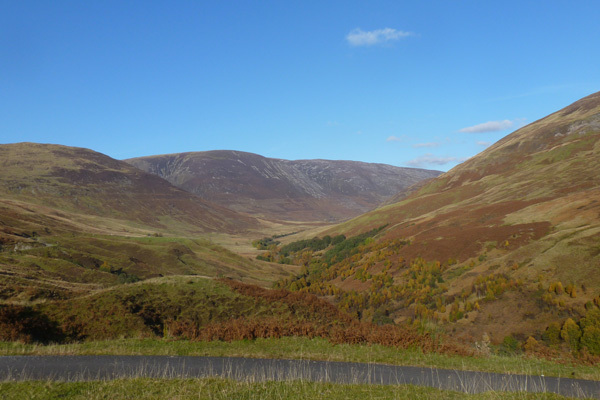 The Parallel Roads refer to a series of parallel lines etched into the hillsides of the glen at 260 metres, 325 meters and 350 metres above sea level. The origins of the Parallel Roads perplexed the minds of geologists and naturalist alike for many years, including Charles Darwin. 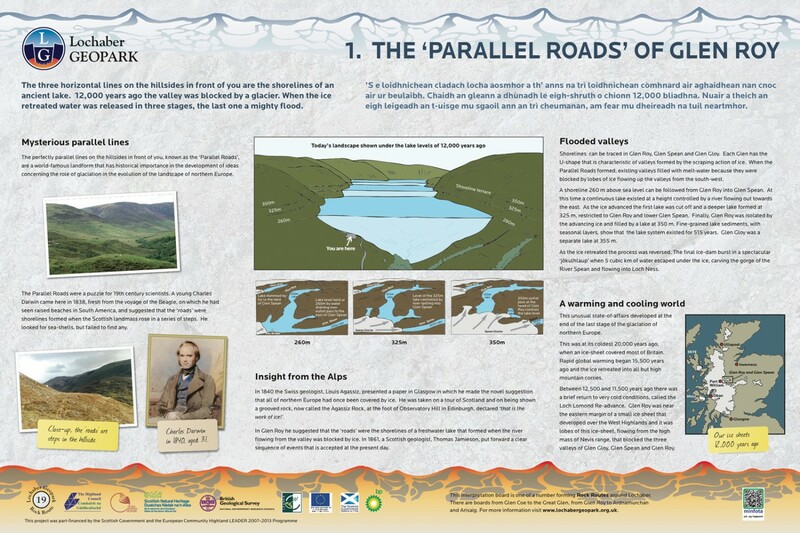 One interpretation board explains how the Parallel Roads formed as a result of series of glaciation events; each horizontal line represents the shoreline of an ice-dammed freshwater loch. The idea was first proposed by the Swiss geologist, Louis Agassiz, and the sequence of events was later determined by Thomas Jamieson in 1861. 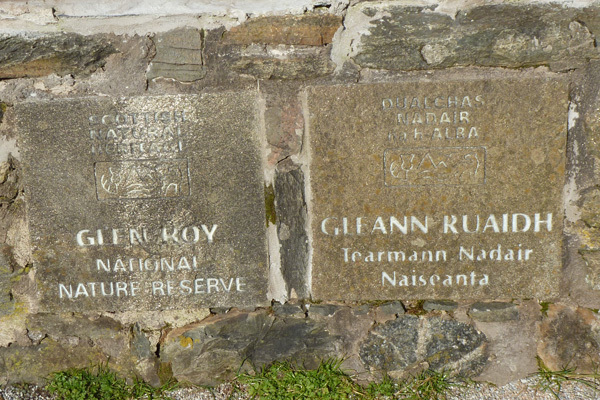 The board also describes some the effects of glaciation events on the topography of Glen Roy and the surrounding glens of Glen Spean and Glen Gloy, which also have these distinctive markings. 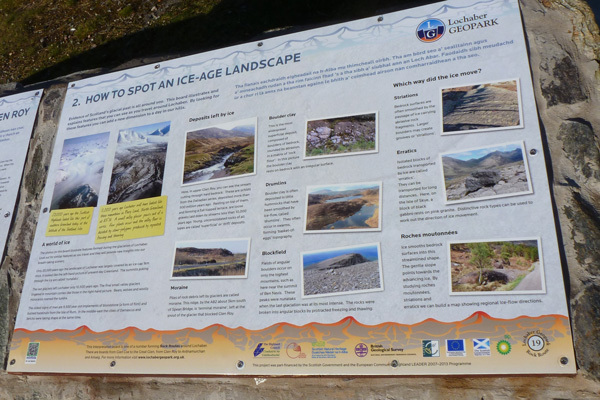 The second board describes various glacial depositional features in Lochaber, including moraines, drumlins and blockfield. 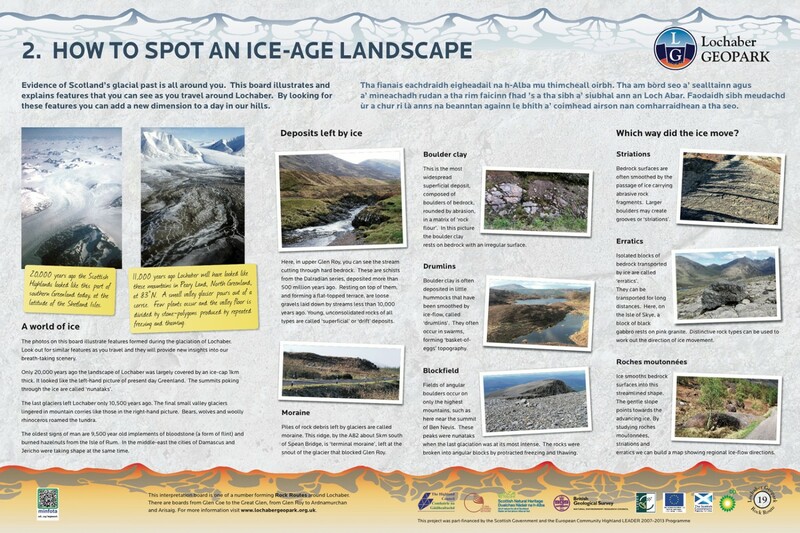 There is also some advice how to determine the direction of flow of glaciers with reference to striations, erratics and roches moutonées. 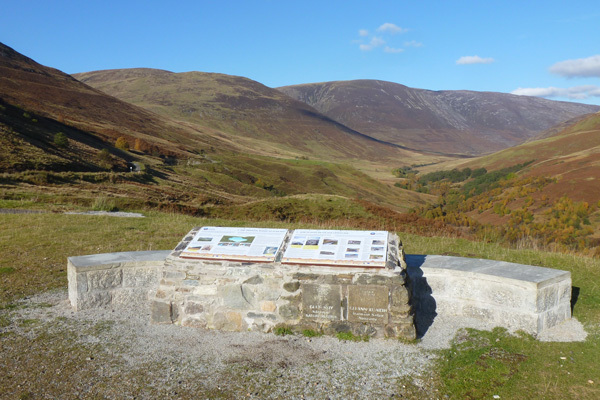 The board is located in a viewpoint about 4km along the minor road to Glen Roy from Roy Bridge. 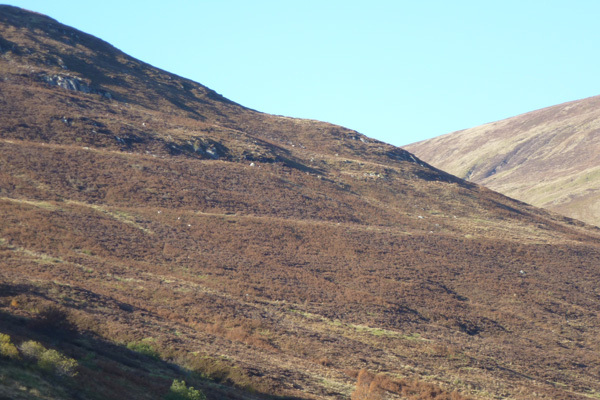 A fascinating insight into the impact of glaciation events on local topography and surface features of rocks at both the small and large scale. Well worth a visit.